August 15, 2018, © Leeham News: If Boeing launches its New Midsize Airplane (NMA or 797), it is expected to use the cleansheet program to force new contract terms on suppliers. And that has some suppliers wondering if it is worth participating in the program at all. Speaking on background, executives from several suppliers told LNC in recent months that they might not bid on NMA work if it means greater price concessions up front, as well as surrendering lucrative aftermarket sales to Boeing. Bidding will depend, in part, on whether suppliers can pass cost cuts down to their own suppliers, and if Boeing takes on more risk and development costs to offset lost aftermarket revenue. One exec wondered what it could mean for the company’s engineering capabilities if they have to bid for essentially procurement orders with Boeing holding onto the IP. July 25, 2018, © Leeham News: The cash keeps flowing at Boeing. The aerospace giant posted free cash flow of $4.3bn for the second quarter of the year, despite recording $426m in costs related to its delay-ridden KC-46 tanker program. Despite posting strong earnings, the charge rattled investors, who drove Boeing’s share price down in early trading Wednesday. 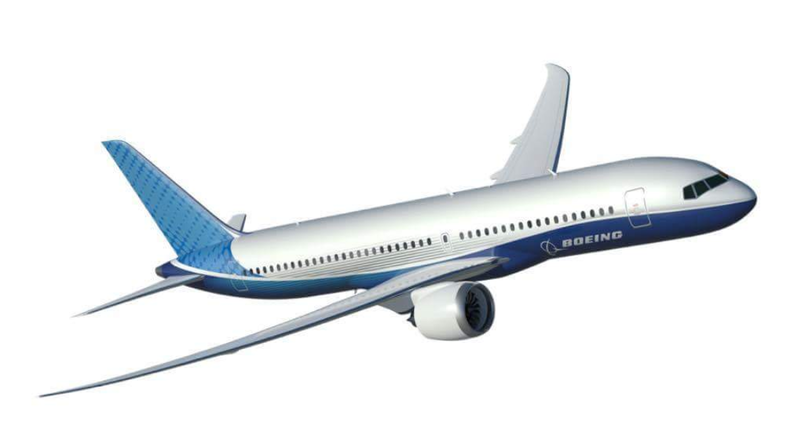 Boeing continues to work on closing the business case for its New Midsize Airplane (NMA), a business case unlike any the company has done before, Boeing chief executive Dennis Muilenburg said in a conference call with reporters and investment analysts. July 23, 2018, © Leeham News: First mover or not first mover, that is the question. In a pre-Farnborough Air Show interview with another publication, Airbus Group CEO Tom Enders said Airbus had the advantage of being the “first mover” by acquiring majority control of the Bombardier C Series program. But when it comes to responding to the prospective Boeing New Midmarket Airplane (NMA, or 797), Airbus officials say they are content to wait and watch, willing to let Boeing make the first move. At the same time, Airbus is proceeding with studies to further extend the range of the A321neo, in the form of the A321XLR. The airplane would have a range of 4,500nm, up from 4,100nm, according to information widely leaked at the air show. Airbus looks to squeeze Boeing from the bottom of the NMA market with A321neo improvements. Boeing sales chief dismisses A321XLR as a sub-set of a sub-set. But others see the basic A321 design as more flexible than the 737 MAX. May 15, 2018, © Leeham News: The engine problems at all four OEMs mean a later entry-into-service for the prospective Boeing New Midrange Aircraft (797), says an influential figure in commercial aviation. And the longer Boeing puts off a decision to launch the NMA, the more Airbus A321neos will be in service and the more difficult an already challenging business case for the NMA becomes, says Steven Udvar-Hazy, executive chairman of Air Lease Corp.
Hazy made his remarks at the 38th annual Airfinance Journal conference today in Miami. April 2, 2018, © Leeham News: Boeing’s painful experience the with the development, design, production and grounding of the 787—costing billions of dollars in overruns and penalties with a delay of nearly four years—led to a major effort to de-risk future airplane development. The 787 experience led to a pause that resulted in pursuing derivatives of the 737 MAX and 777X instead of developing new airplanes to replace these aging platforms and leap ahead of Airbus. Now, poised to launch its first all-new airplane program in 15 years, Boeing continues to de-risk its production. De-risking production means diversifying supplier base, bringing work in-house. De-risking is changing the fundamental design-production nexus. De-risking is innovating and cutting costs to meet new competition. The Southeast Aerospace and Defence Conference will examine the transformation in production. Click here for more information. March 26, 2018, © Leeham News: Boeing’s NMA or 797 is taking final form ahead of a decision to essentially launch the program with an Authority to Offer (ATO), widely believed to be later this year. In the first article, we looked at the key characteristics of the design. We also looked at the engine situation in a couple of articles. Now we round up the series with analyzing the potential economics of the aircraft. The projected 797 would have competitive Cash Operating Costs compared with a modern Single Aisle aircraft like the Airbus A321LR. The challenge is the capital costs. The A320/A321 and Boeing’s 737 MAX models are produced in numbers passing 10,000. An NMA would be successful if produced in 1,000 units. This leads to higher production costs for the numerically smaller series. The focus from Boeing is therefore on lowering Production costs and on finding Services revenue which can help the 797 business case. Now open to all readers. March 22, 2018, © Leeham Co.: As Boeing enters the final stretch whether to launch the New Midrange Aircraft (NMA, aka 797) market focus should shift to the engines more than the airframe and even the market demand. It all comes down to this: no engines, no plane. Monday’s post outlined some of the issues to consider. But there are larger implications as well. Market sources are tossing about various scenarios about the future GE Aviation and CFM. Rolls-Royce won’t have its Trent 1000 problems fixed until 2021 or 2022, at great cost. Pratt & Whitney won’t have its Geared Turbo Fan final PIP packages for its problems sorted out until around 2021. Resources—both financial and with engineering—are stretched now. Sequencing current engine problems, and in the case, GE’s GE9X, are a factor, in the eyes of some. March 20, 2018, © Leeham News: As Boeing builds the business case for the New Midrange Airplane (NMA, or 797), dozens of major factors come into play, along with the hundreds or thousands of smaller one. The market demand, of course, is a well-known business case element. So is price to the customer, the design and capabilities of the airplane, the engines and the technology of them, whether there will be a sole- or dual-source engine, where the airplane will be assembled and how it will be produced. .Production transformation is the focus of the Southeast Aerospace & Defence Conference June 25-27, organized by Leeham Co. and Airfinance Journal. One Boeing official told LNC that the 797 is as much about production as it is everything else. This goes to cost and cost goes to pricing. Automation, robotics, digital design, 3D printing and additive manufacturing are key to producing the 797. Many elements are already in place on other Boeing programs, most described in the media already. One key supplier is Dassault Systemes. March 19, 2018, © Leeham Co.: As the market awaits a decision by Boeing whether to launch the New Midrange Aircraft (NMA, or 797), focus has been on the aircraft’s definition and market demand. It should be on the engines. It doesn’t matter whether Boeing designs a fabulous airplane that’s the next best thing to sliced bread. What matters is whether the engines will be ready in time for Boeing’s suggested entry-into-service and if they are, whether they will be reliable out of the box. The recent track record isn’t all that encouraging. Neither is Boeing’s preferred timing. CFM, GE, Pratt & Whitney and Rolls-Royce each had problems with their new engines. All continue. The Boeing NMA requires brand new engines, not derivatives. Engine development and certification within the Boeing preferred timeline is sporty at best. March 8, 2018, (c) Airfinance Journal: A leading appraisal firm questions whether Airbus should respond to Boeing’s proposed new midsize aircraft (NMA) simply by enhancing its existing product line.